White is an essential colour in our wardrobe, whether it's a white shirt or white t-shirt everyone owns something white. 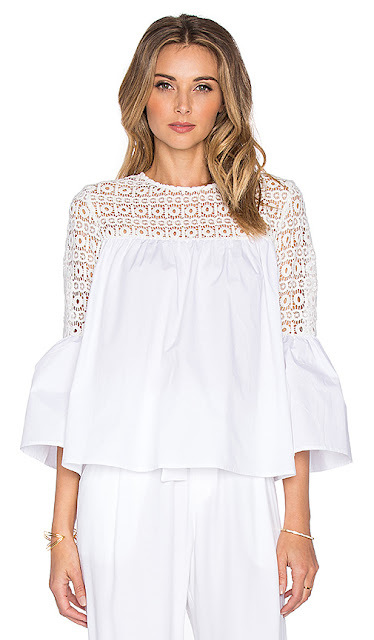 This summer I have seen some gorgeous tops modelled by some lovely Instagram ladies I follow (Mary Seng, Erica Davies and Jacqueline Mikuta to name a few), mostly wearing white feminine detailed designs that look great with anything. So after seeing many wearing all these lovely tops and then coming across the above Pinterest image, I have been hunting down white tops, pacifically long sleeved. I went onto the Mango site and was surprised to see loads of white tops, some in the sale and some new. I've just ordered the below at £14.99 but not sure how cropped or how low it will come up, but can imagine pairing it with my denim cut-offs and sandals. I posted the dress version of the below top last month under summer dresses, love the openwork panel and tiny pom pom details. This top is gorgeous and similar to an old Self Portrait top, spotted on the lovely Erica Davies the other day. Pair with jeans, skirts or leather trousers. Will also look great layered under a jumper during Winter. 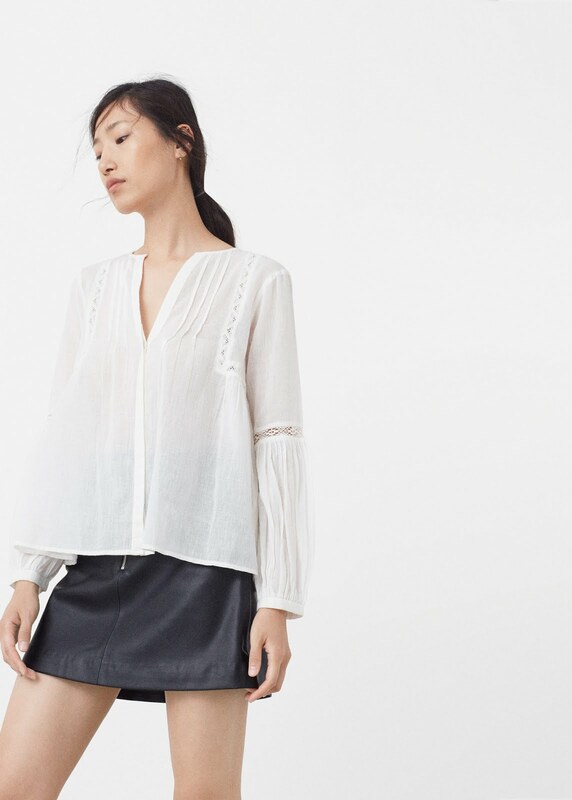 Great casual top from Gap below, there's always a Gap voucher code floating around, worth getting the discount off. Make a statement by wearing this top from Revolve. Wear in the evening or casually with denim.